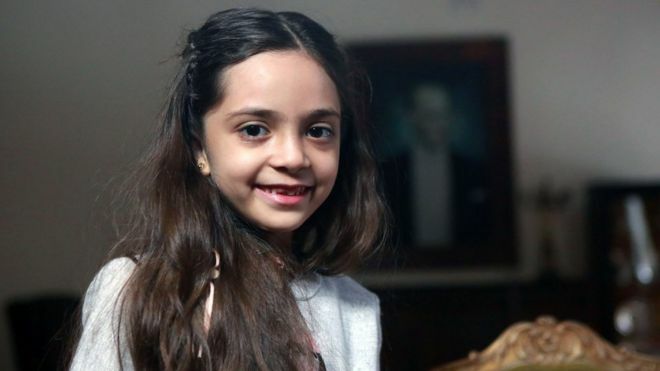 Bana Alabed, the seven-year-old Aleppo girl known worldwide for her tweets from Aleppo, has written an open letter to Donald Trump. "You must do something for the children of Syria because they are like your children and deserve peace like you," she wrote. Bana escaped Aleppo with her family in December during the mass evacuations, and is now living in Turkey. Her twitter account became famous for its messages from besieged east Aleppo. Her mother, Fatemah - who helps run the account - sent the text of the letter to the BBC. She said Bana wrote it days before President Trump's inauguration, because "she has seen Trump many times on the TV".